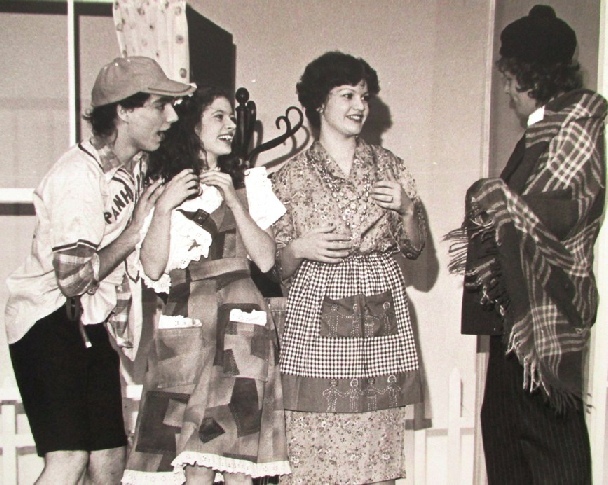 The College production of Thornton Wilder’s “The Skin of Our Teeth” was performed sometime in 1978 (or 1979). “Oh my god! It's from The Skin of Our Teeth, Thornton Wilder! That's me doing incredibly bad acting with Penny (I think, who was Mike's girlfriend at the time). Is the other girl Helen French? And Mike Ball, also doing over acting (but much better than moi!) AS Mr Antrobus. I've always remembered one line that Mike had as the cold was drawing in to kill off the dinosaurs: "It's not cold, it's BRACING".